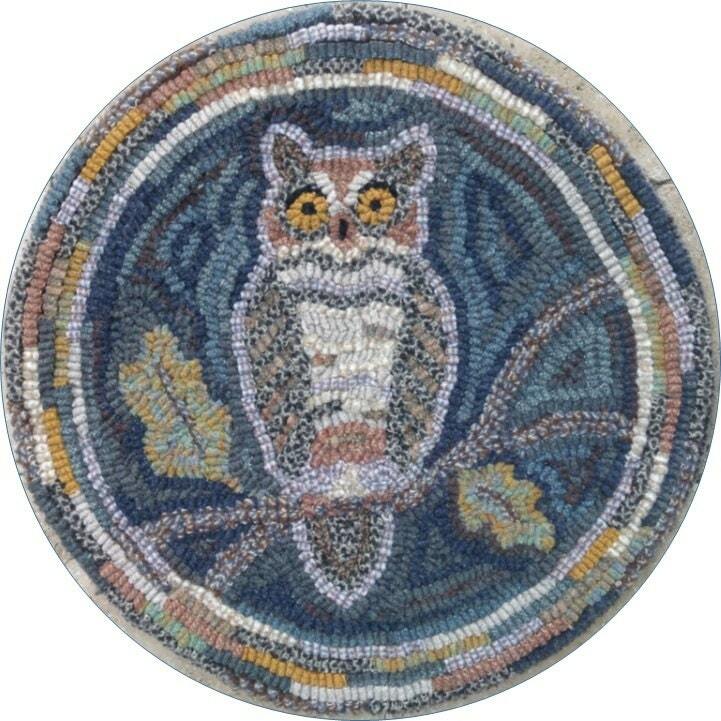 This listing is for my rug hooking PATTERN, "Woodland Owl". 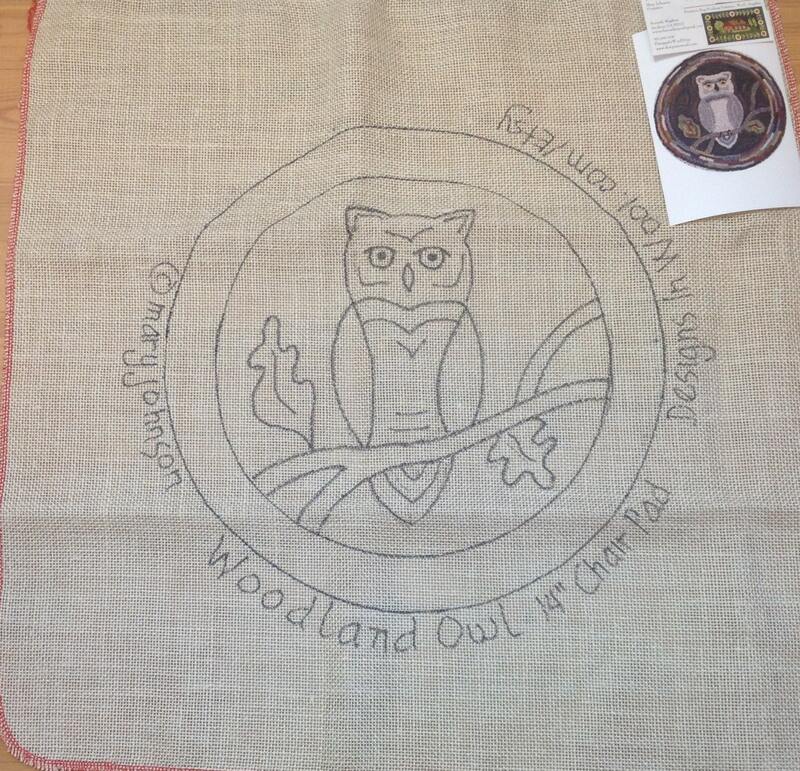 It is 14" round and one of five in my series of Woodland Animals designs. A great small project for you to hook into a chair pad or table mat to enjoy now and all through the year. This is the latest rendition of this chair pad. I used a brown/plum/khaki stripe for the background. 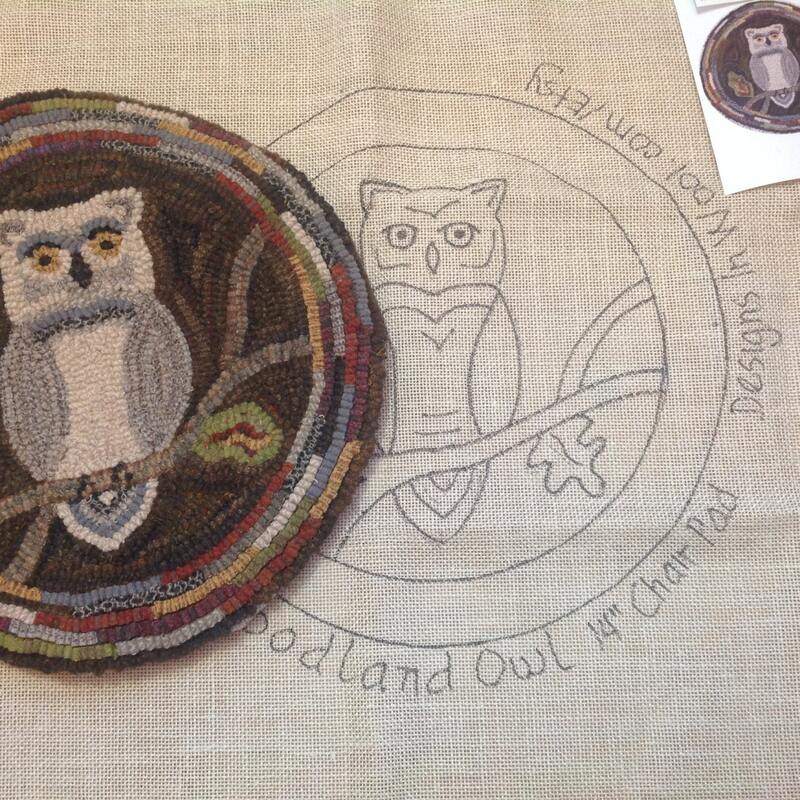 The owl is a mix of grays and creams with a bit of blue. The border has a mix of colors from the interior plus a few extra pieces for a little sparkle. The 4th photo shows the original version. I do not have wool packs for this version available. 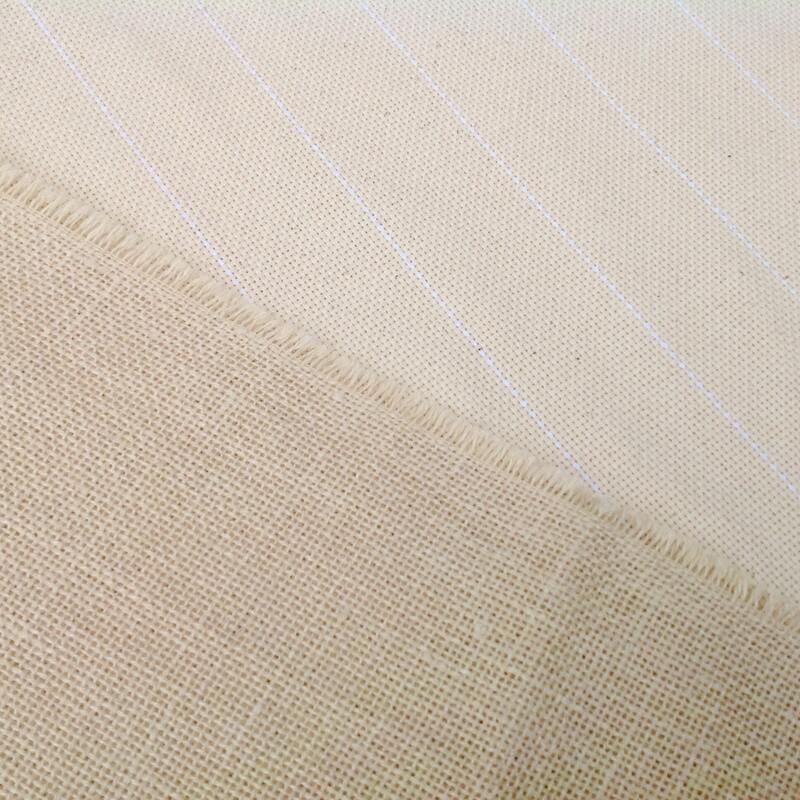 In this listing you are purchasing the pattern hand drawn on your choice of either cotton monks cloth or primitive linen (see FAQ for more info on foundation fabric. 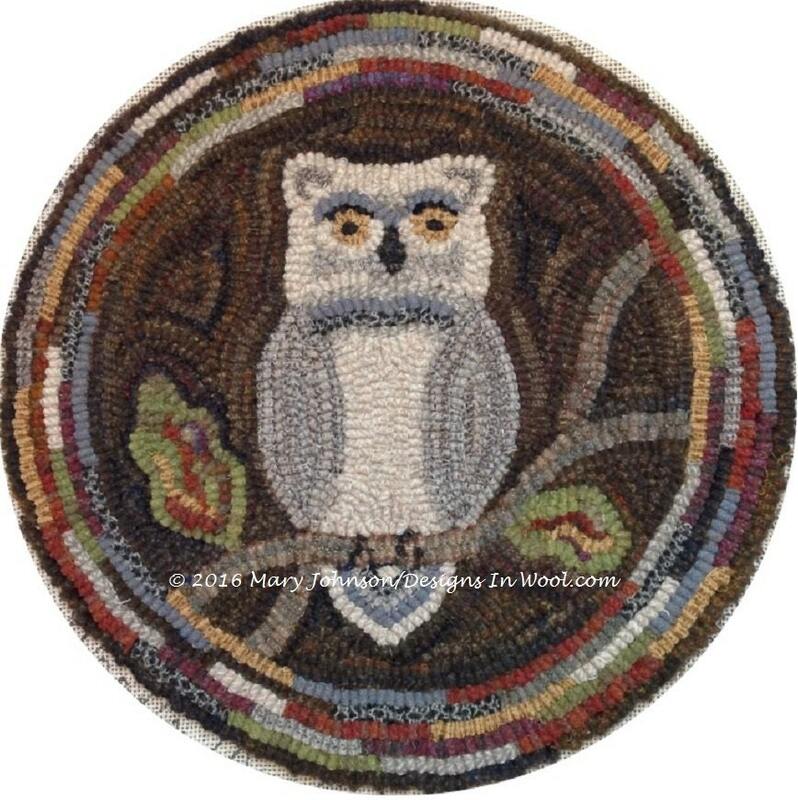 Your hand drawn pattern will have all raw edges serged with 4" allowances on each side of the design, making it fit on most rug hooking lap frames. © Mary Johnson/Designs In Wool. All patterns at Designs In Wool are copyrighted by Mary Johnson, the designer. Your purchase of this pattern gives you rights to use this pattern one time. You are not allowed to make new copies, redraw, reproduce in any manner on your own or give this design to others. Thank you for respecting my small business by keeping copyright laws.